With the average price tag hovering just around $33,391, matrimony has become a lavish rite of passage, to say the least. Many eager couples subscribe to a fierce go big or go home planning mantra which ultimately propels this multi-billion dollar industry. If you’re lucky enough to be invited into the bridal party fold, you better be prepared to drink the Kool-Aid – especially if you’re the maid (or matron) of honor. One of your biggest responsibilities involves throwing down some hard earned cash. It’s no secret that being a bridesmaid is expensive, but just how expensive? These days, weddings are much more elaborate and sometimes even weekend-long affairs (“destination weddings” represent 25 percent of all nuptials according to TheKnot.com). Traditionally, these costs are inflated for the maid of honor. Convention dictates that she’s financially responsible for hosting the bridal shower and the bachelorette party, which can amount to several hundred (possibly even thousand) dollars, depending on the location and events planned. A bachelorette party for instance, can quickly escalate from a simple girls’ night out to a decadent spa trip or a Vegas excursion. This can cause a lot of stress for those who aren’t financially prepared. However, these days most bridal parties are more than willing to pitch in their fair share for the pre-wedding festivities. Be open about your budget from the start. A bachelorette party in Vegas or a destination wedding in Fiji both sound great but make sure you can do it all of it without maxing out your credit card. If you simply can’t afford it, it’s time to shift into heart-to-heart mode and explain your current financial situation to the bride. When it’s your best friend, sometimes saying “no” isn’t an option. 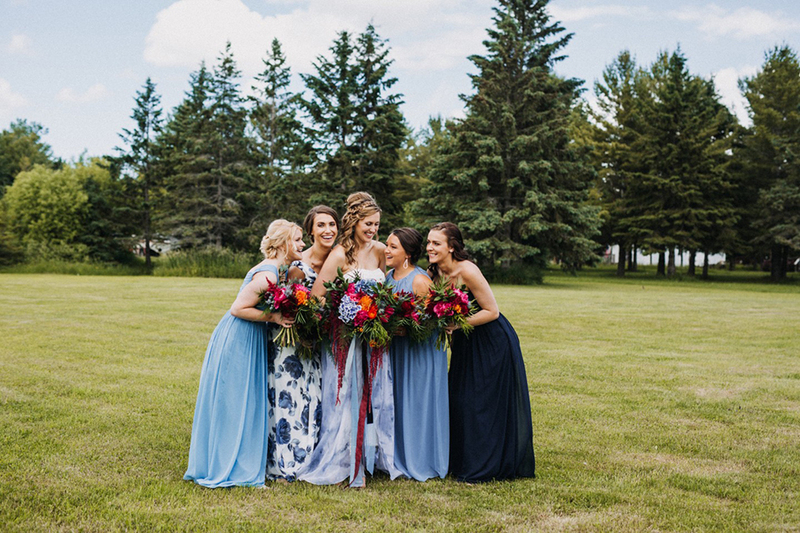 Brides want their closest friends to walk down the aisle and will probably help pad some of the expenses to make the experience more affordable. Though it may be slightly uncomfortable, you should also open up to the rest of the bridal party. Splitting the planning and financial details amongst all members of the group has become an accepted practice. Asking someone to be your be your maid of honor can serve as both a privilege and a burden. The key to being a gracious bride and friend is transparency. Though it may take some of the excitement out of the moment, you and your husband-to-be should sit down and determine a realistic cost estimate before contacting any wedding party candidates. If most of the details are still up in the air, consider setting a maximum amount that you truly won’t exceed. You never want to cause your closest friend undue hardship. If your maid of honor can’t handle the financial responsibility of being in the wedding, you can help lighten the load by offering to cover some of the expenses, such as her bridal attire or lodging expenses. You can also consider cutting back on some of the more extravagant purchases. It’s a pivotal moment of your life, and having her by your side will probably be more important than designer bridesmaid gowns 20 years down the road. Get more from Wisconsin Bride! Follow us on Twitter and Facebook and Instagram! You didn't think we'd forget about the important men in weddings, did you?